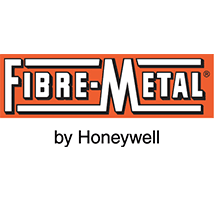 Fibre-Metal Products Company was formed in 1905 when its founder invented the protective welding helmet. Now, Fibre-Metal is a leading brand of safety personal protection equipment products with items like their face shields and headgear crafted to the highest standards for a safer, more productive workforce. Fibre Metal P451SH13 Shade 13 Filter Lens Heat Treated Glass 4-1/2 x 5"
Fibre Metal P241SH11 Shade 11 Filter Lens Heat Treated Glass 2" x 4-1/4"